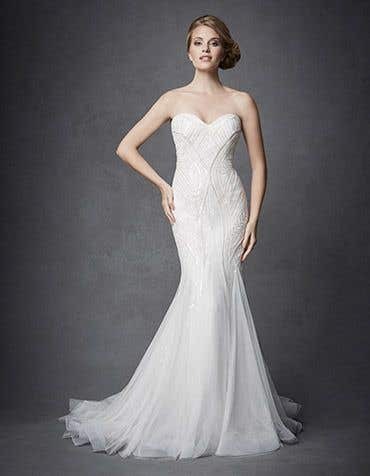 One of the most popular necklines for modern brides, a strapless wedding dress is the perfect choice. 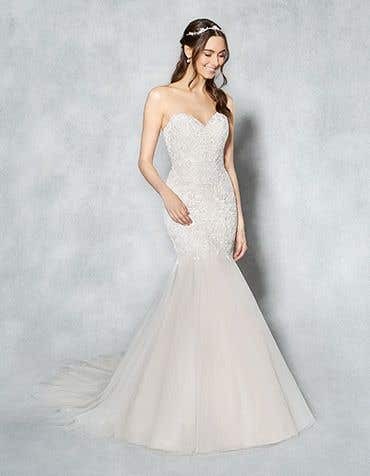 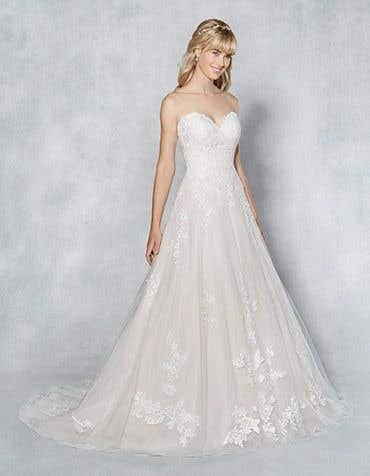 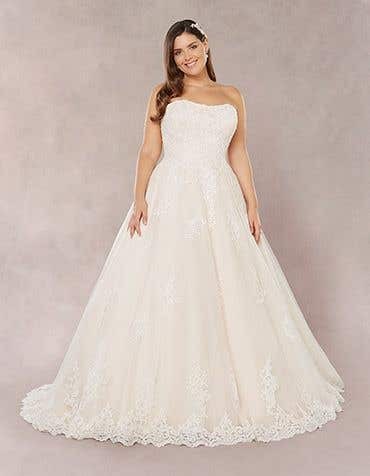 Strapless wedding dresses are super flattering and easily accessorised with a bolero or lace jacket, so you can achieve two wedding day looks in one! 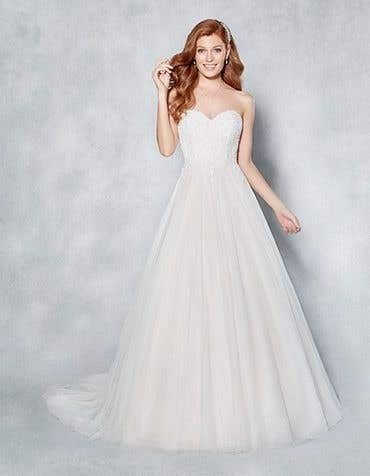 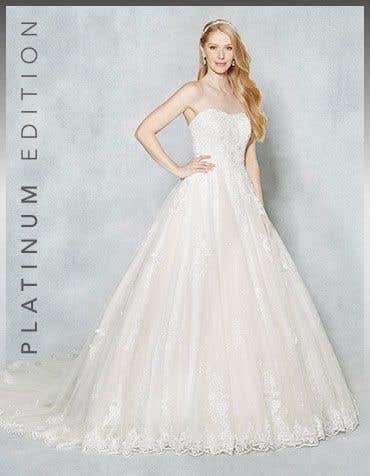 Our collection of wedding dresses strapless will enhance your curves with a structured bodice you'll look and feel amazing on your wedding day. 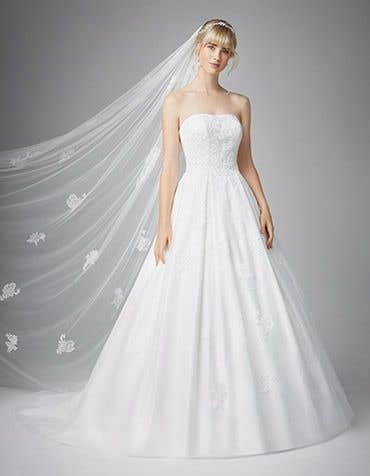 Our bridal gowns are priced from £99 and you can take home your dream dress the same day.